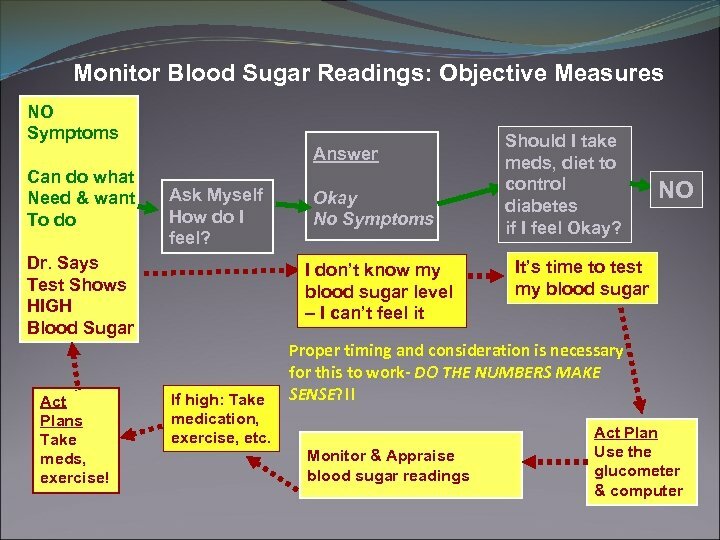 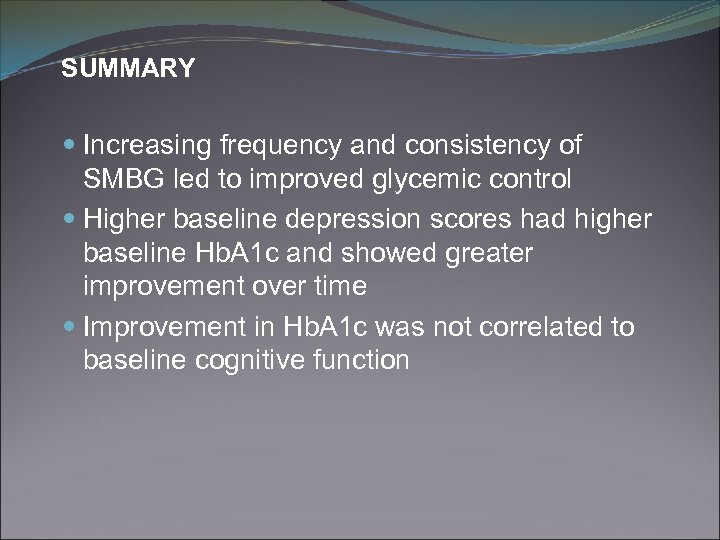 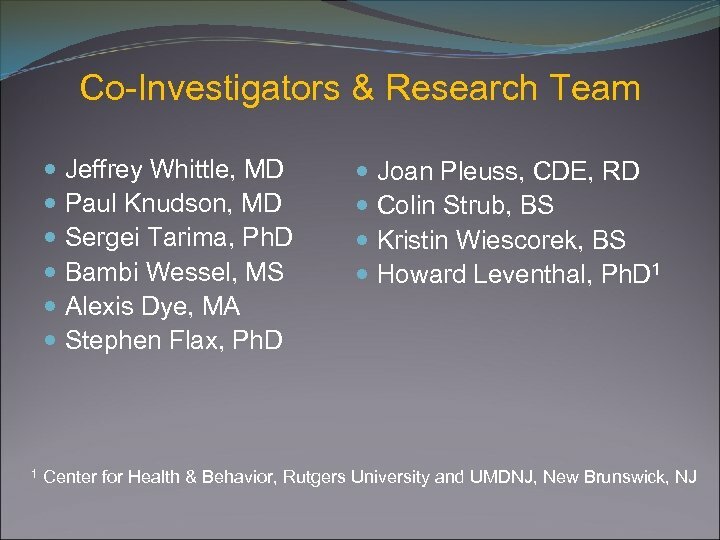 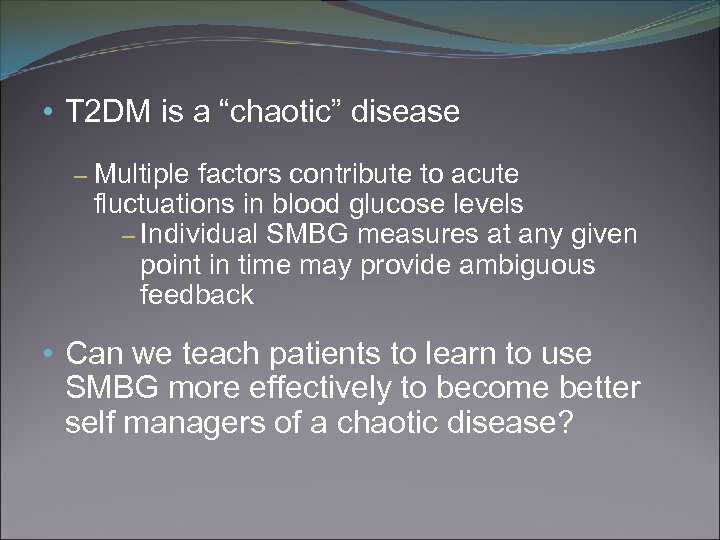 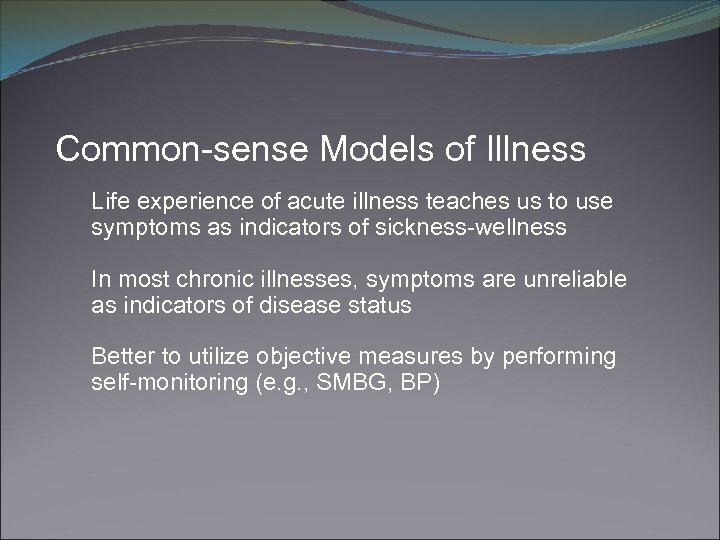 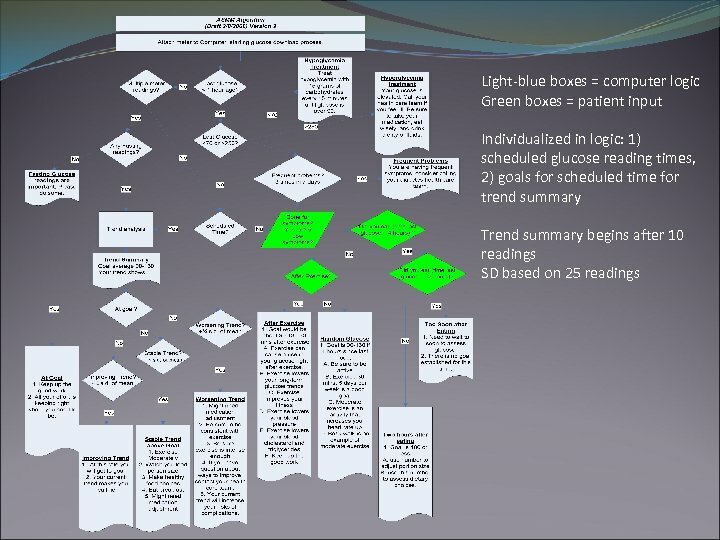 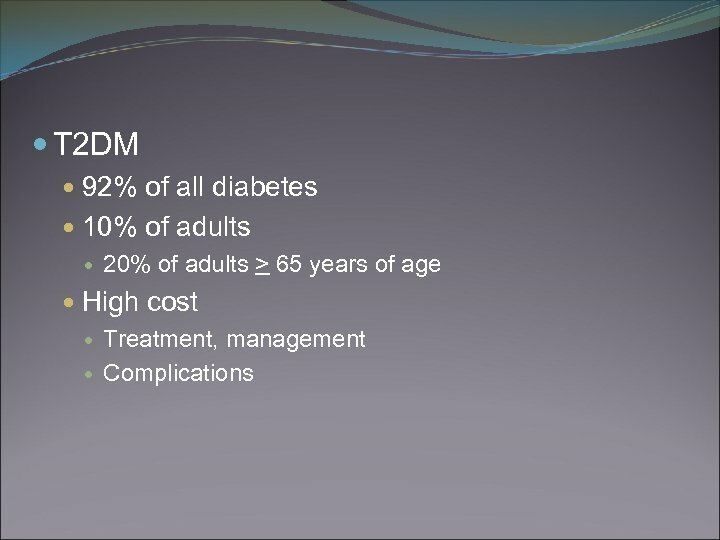 • T 2 DM is a “chaotic” disease – Multiple factors contribute to acute fluctuations in blood glucose levels – Individual SMBG measures at any given point in time may provide ambiguous feedback • Can we teach patients to learn to use SMBG more effectively to become better self managers of a chaotic disease? 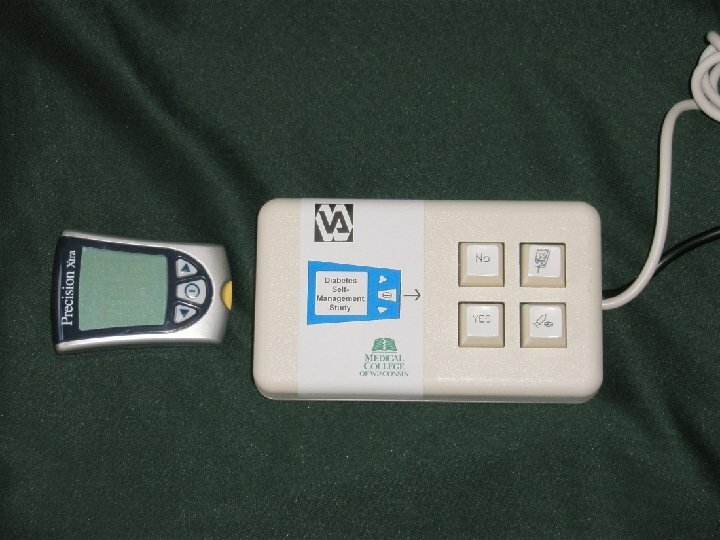 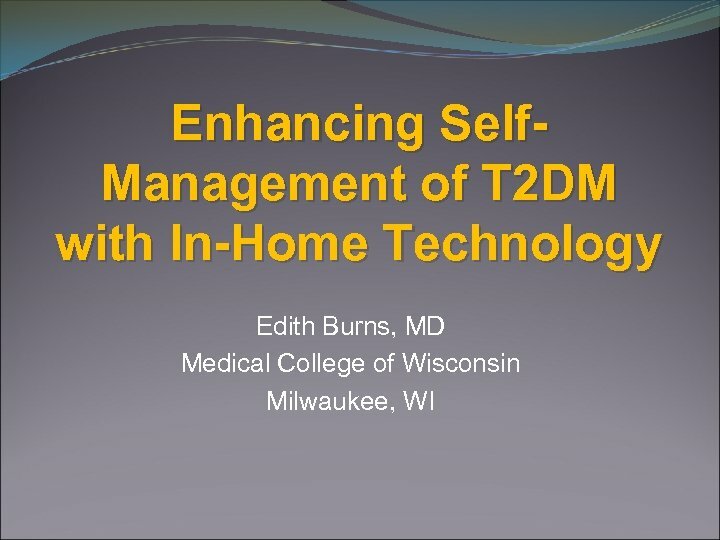 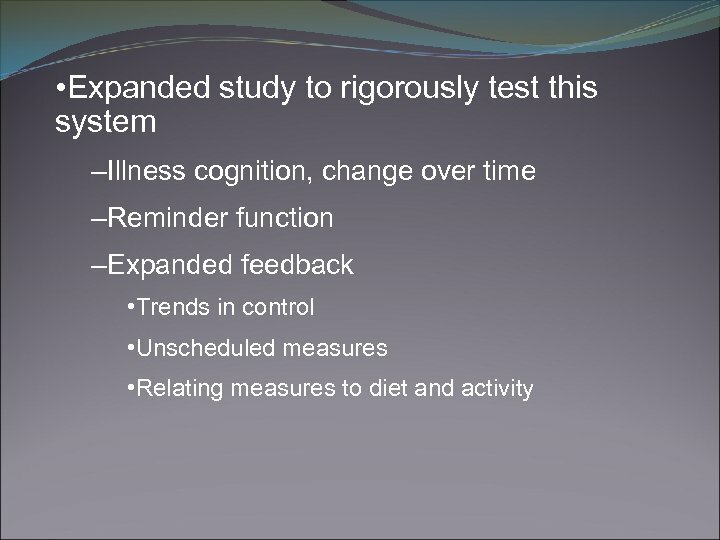 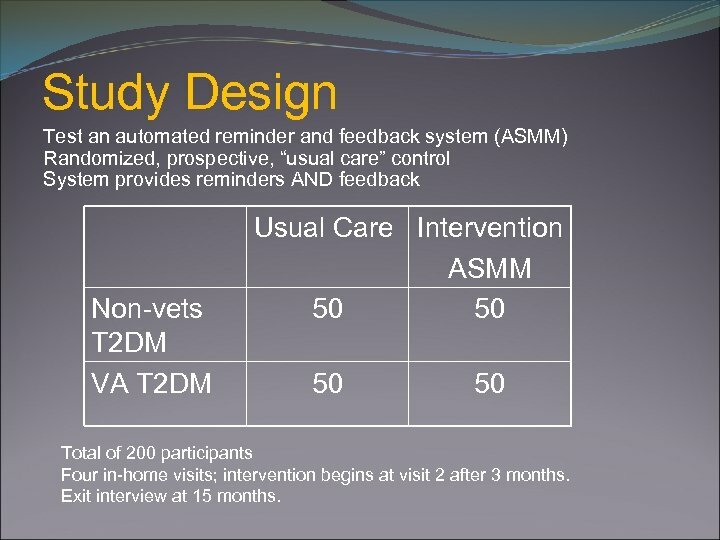 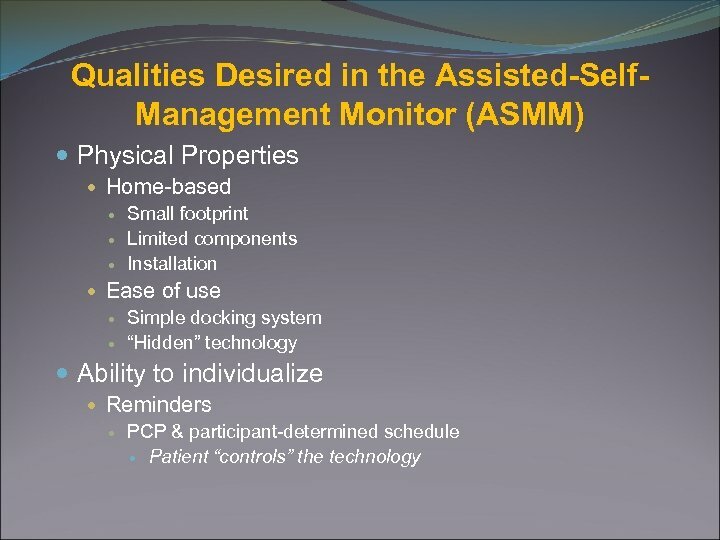 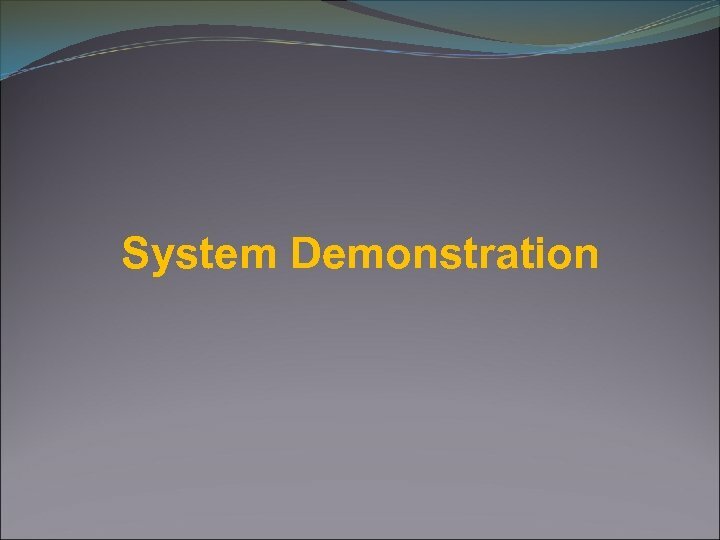 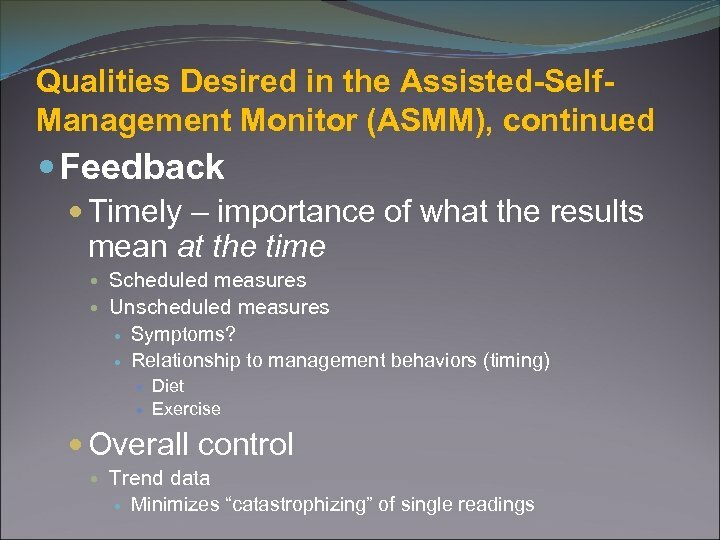 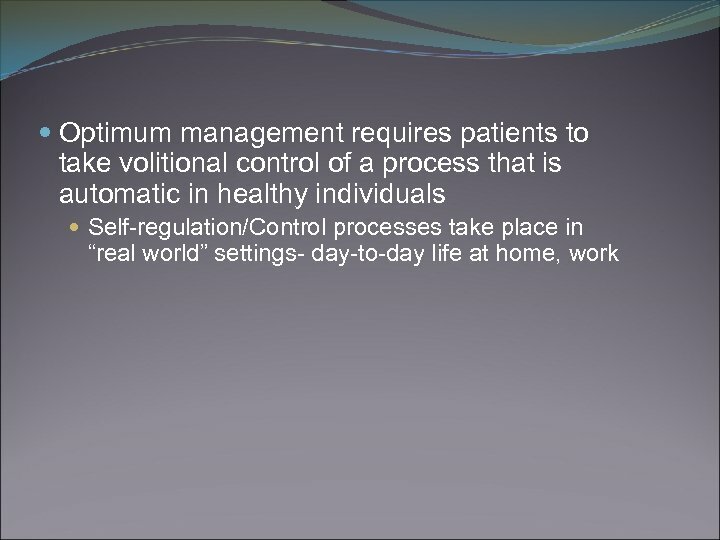 Study Design Test an automated reminder and feedback system (ASMM) Randomized, prospective, “usual care” control System provides reminders AND feedback Non-vets T 2 DM VA T 2 DM Usual Care Intervention ASMM 50 50 Total of 200 participants Four in-home visits; intervention begins at visit 2 after 3 months. 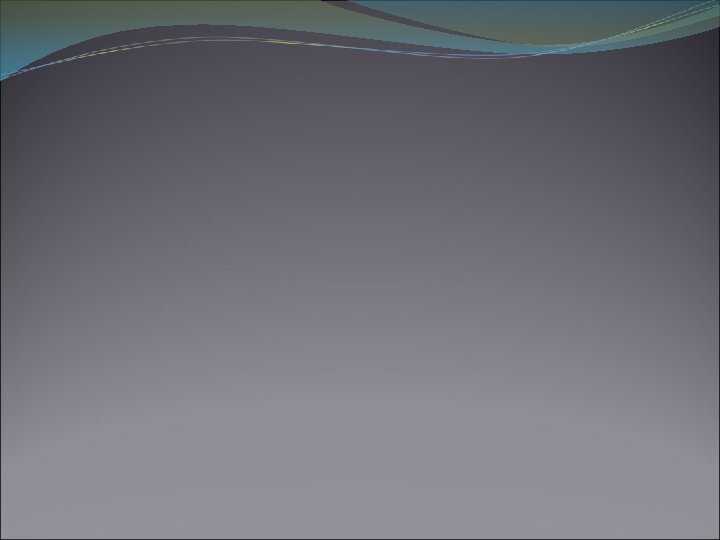 Exit interview at 15 months.